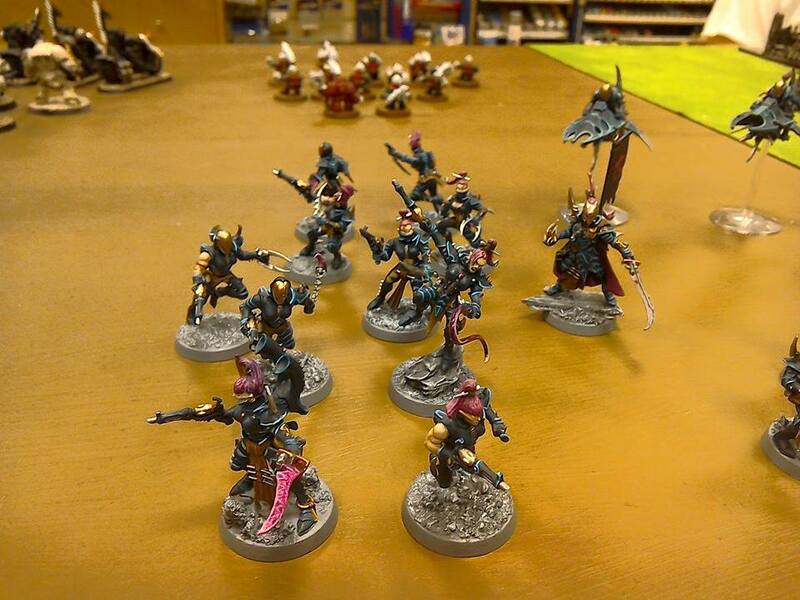 Following yesterdays belated painting competition post I dug up a few more pictures of my stuff and one of the winning entry. Some more of the Kabal, I'm really not happy with that power sword. 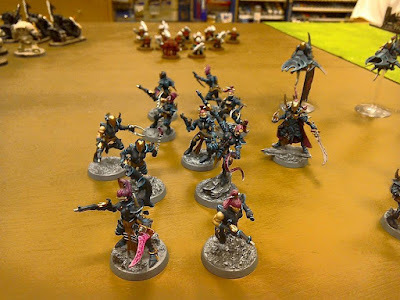 Unfortunately I haven't had many chances to field my Dark Eldar recently; their huge winning streak has put people off playing repeat games against me. 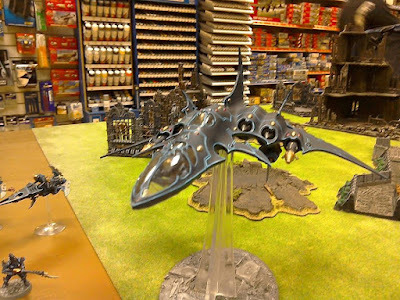 I've had to resort to playing my Tyranids instead, but I might bring the Dark Eldar out of retirement to put those damn dirty Necrons in their place! All of the entries, the winner was the Grot army closest to the camera. The next painting competition will most likely be for single miniatures. I'm thinking of buying a Sevatar from Forgeworld to feed my current Night Lords fixation. If and when a date gets announced I promise to put up some progress photos. Sorry Greg, that's your lot! You'll have to put up with me posting photos of my grubby Night Lords for the next few weeks!